The best import auto parts in stock, by Europe's best import part Manufactures and suppliers; BOSCH, NGK, TRW/LUCAS/GIRLING, BREMBO, ZIMMERMANN, ATE, SACHS, BORG-BECK, ANSA, MANN FILTERS, BILSTEIN, LEMFORDER, EBC BRAKES, PAGID, TEXTAR, MAGNETI MARELLI, WEBER CARBURATORS, plus so much more! 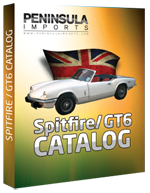 Do you need parts for your British Sports car? 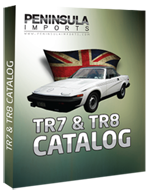 MGB, MGBGT, MG Midget Parts, as well as Triumph TR6, TR7, TR8 and TR250 Parts in stock now! 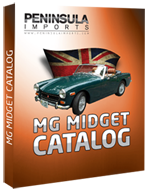 Check out our MG and Triumph Parts Flyers and MG and Triumph Parts Catalogs. Give us a call or fill out the easy, online Locate a Part form and order your parts today. 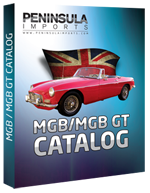 View MG And Triumph Parts Catalogues Online! Click on an image below to view the catalog. 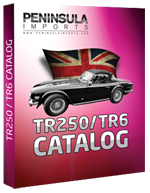 Catalogues are best viewed using Firefox browser.